After watching many Great British Bake Off episodes, I decided I needed to make some pavlova, a meringue and whipped cream dessert. I followed this recipe and after about two and a half hours it was done! (It cooks for an hour and cools for an hour so the actual baking part isn’t too bad.) With the help of Sidney’s kitchen aid it was actually pretty smooth sailing. 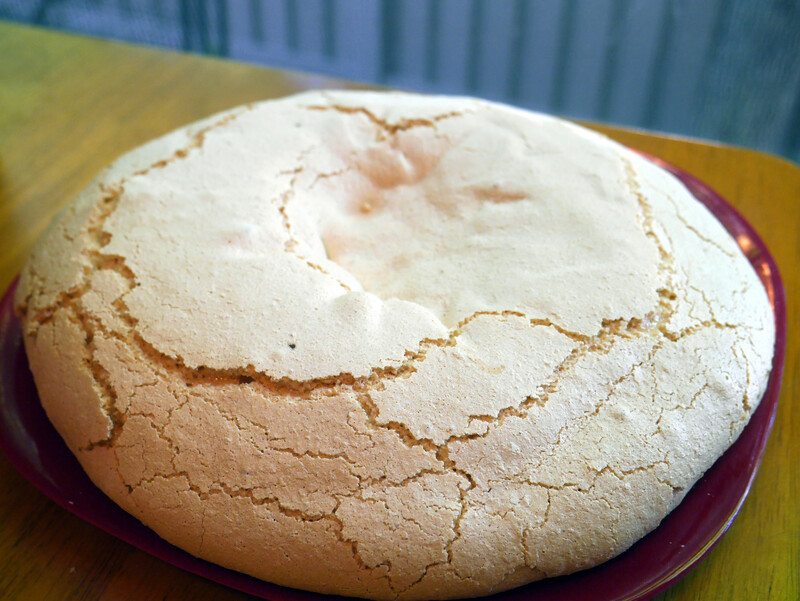 The meringue turned out quite nicely, although it wasn’t exactly cooked through (we’re guessing because of Denver’s altitude). Homemade whipped cream was a nice touch to the sweet meringue and we topped it with kiwi, with, according to some is the traditional fruit. For dinner we made Thai steak salad, a recipe that one of my teammates gave me in the wedding recipe box I was given last week. 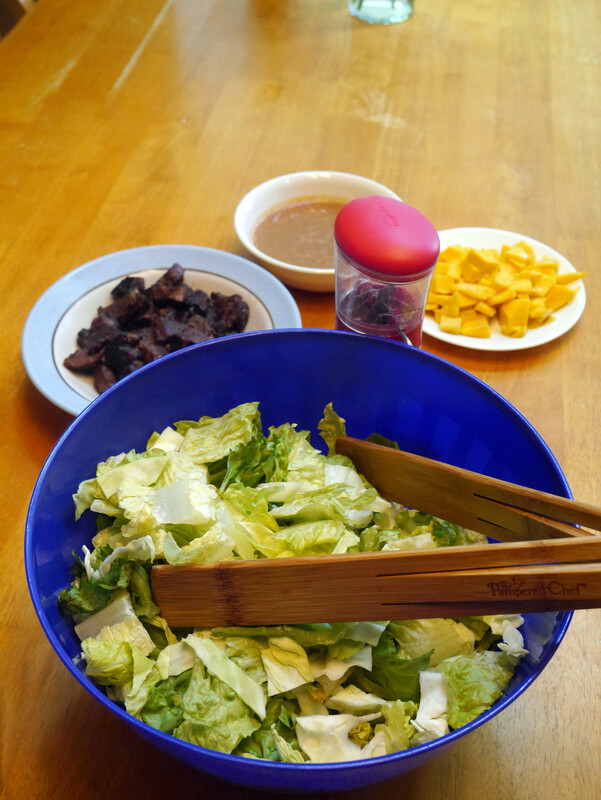 The steak was delicious and the salad as a whole was good – lettuce, cabbage, peanuts, steak, mango, and a homemade dressing. I will definitely make the steak again but next time I’ll let it marinade in the sauce for a bit first to make it even more flavorful. In between those cooking periods I played lots of Mario Kart on Elisabeth’s new Nintendo Switch! The game is a lot of fun and I even won first place a few times. Yum! It all looks delicious! I love how you’re always trying new things.